Laser hair removal and electrolysis are both proven hair removal solutions, but they do have important differences. Electrolysis is considered the older method, and has been in use for over a century. It is during the 90’s that electrolysis faced some serious competition with the introduction of laser. Hair removal with laser quickly became the more popular solution, because it is time and cost efficient, though electrolysis is still used and favored by some. With electrolysis, a very thin needle, which is electrified, is inserted into the hair follicle. The heat burns and damages the hair follicle. Laser uses a pulsating light that passes through the skin to the hair follicles. The intense heat of the laser damages the hair follicle. The common goal of both these methods is for the hair not to grow back. Whether any of these two methods are permanent is widely discussed, and there are many different opinions on this topic. Many practitioners favor laser, while others claim that electrolysis has a better ability to destroy the individual hair follicle. 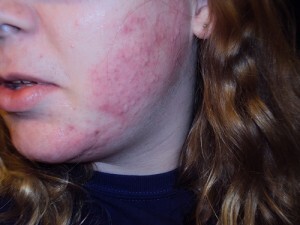 Electrolysis is demonstrated to give long lasting results, but many patients complain of it being a slow and painful process, not to mention expensive. In fact, Electrolysis requires great patience from both the practitioner and the patient in order to have a successful outcome. The treatment is time consuming since each hair follicle must be treated separately. For dark hair on any skin type, lasers will be faster and less costly because many hairs are treated simultaneously. For fine, blond, red, white or gray hair, lasers will not be effective and electrolysis is the better alternative. Electrolysis is also good for those who want to avoid any pigmentation of the skin, which can be caused by a laser. Another advantage to laser hair removal is that you do not have to let the hairs grow out before treatment. This is needed before electrolysis, and can be a big inconvenience, especially to those who prefer removing their hairs on a daily basis. With laser, hair is more likely to grow back than with electrolysis, but the hair that grows back is usually thinner. One big advantage to electrolysis is that is does not matter what the hair looks like. The hair can be thin or coarse, light or dark. In other words, electrolysis is efficient on all hair types. It is also possible to treat people with dark skin. Laser treatment is most effective for dark hair on fair skin. Though most parts of the body can be treated with electrolysis, it is not a time or cost efficient hair removal method. In comparison to a laser, which can treat large areas much faster. Both laser and electrolysis require multiple treatments in order to have a chance at removing hairs with long term results. Though electrolysis can be used on all types of hair, including white hair, laser is often considered a more cost and time efficient solution. Previous post: Is Laser Hair Removal Permanent?